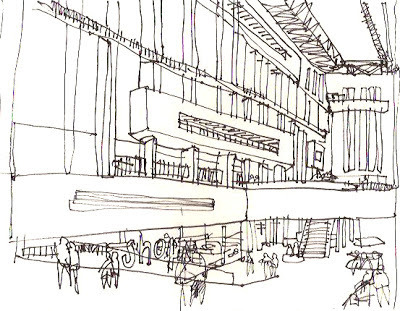 Saturday saw one of the largest gatherings we've had, as we joined forces with the Drawing London on Location Meetup.com group and members of the Sketchcrawl.com forum to participate in the 38th Worldwide Sketchcrawl. It was hard to keep track of the exact numbers, but I counted at least 70 people who made it to the Tate Modern and surrounding Bankside to spend the day sketching on a very chilly day. 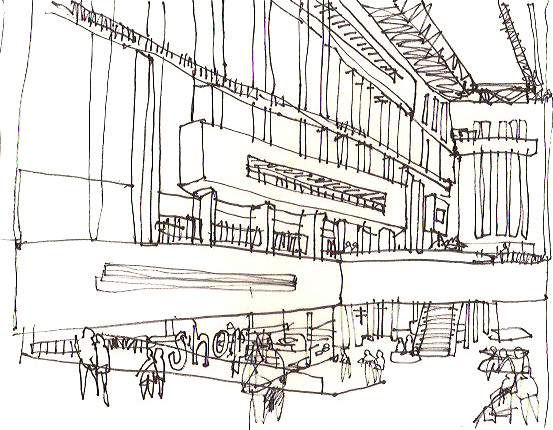 Wherever you looked in the gallery there were people sketching! I was hoping to get some outdoor sketching done, but it proved too cold for me, and after 20 minutes or so I had to give up and go back inside, where it was (slightly) warmer. Drawn whilst wearing gloves. Tricky. 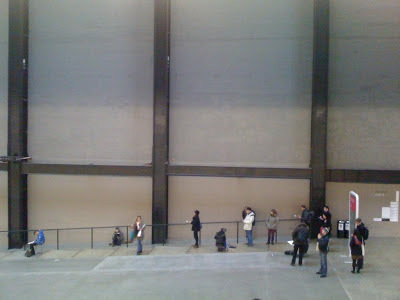 The best position I found though was on the slope of the Turbine Hall, looking through the window and into the bookshop, giving quite a unique angle and a perfect spot to draw people unnoticed. Having abandoned the pencil for these last few sketchcrawls, my productivity for the day has really shot up, and if they're not as polished or geometrically accurate as I'd like, the benefit of getting a lot of different subjects down is worth it, and is quite freeing; I feel like I'm learning more from making mistakes in pen than having the safety net of drafting it out in pencil first. As ever, I met a lot of great artists and fascinating people, but still managed to not meet everyone. 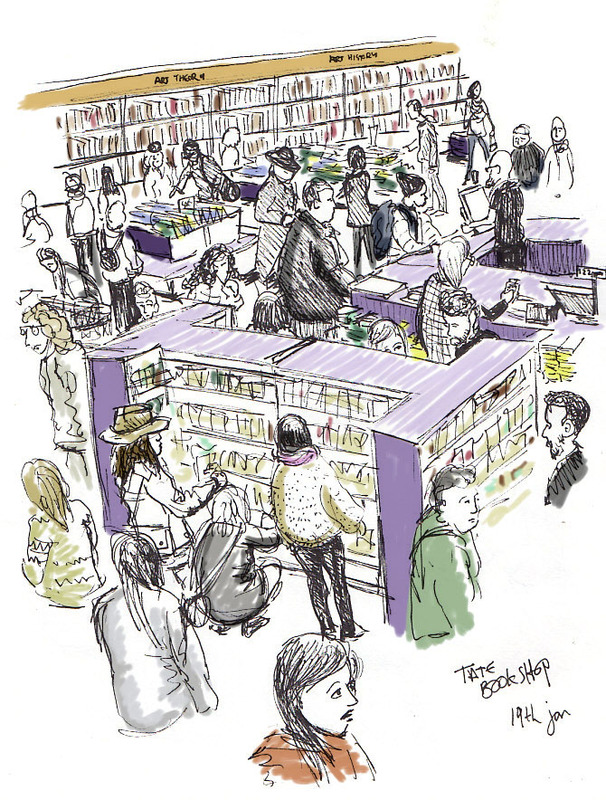 For everyone that went, don't forget there's the Flickr group pool you can join to post and see drawings from the day. 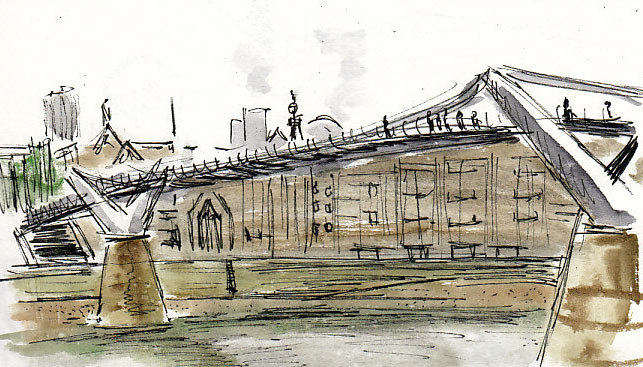 We're looking to get some of the future sketchcrawls' dates and locations decided in advance and posted up on the new London Sketchcrawls page, so watch this space! 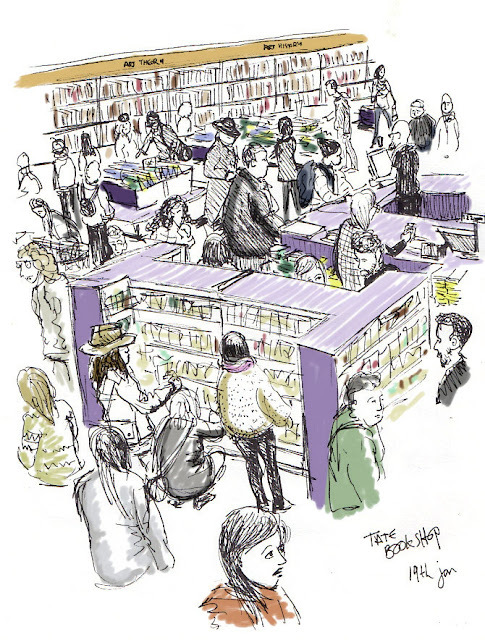 and if you have any suggestions about where you'd like to go to draw for the upcoming ones, post a comment below! Well done to everyone who managed to battle through the wintry conditions to get to Bankside yesterday for the sketchcrawl – and commiserations for those who couldn't. Nathan may have better figures, but I'm sure there were more than 50 of us there. 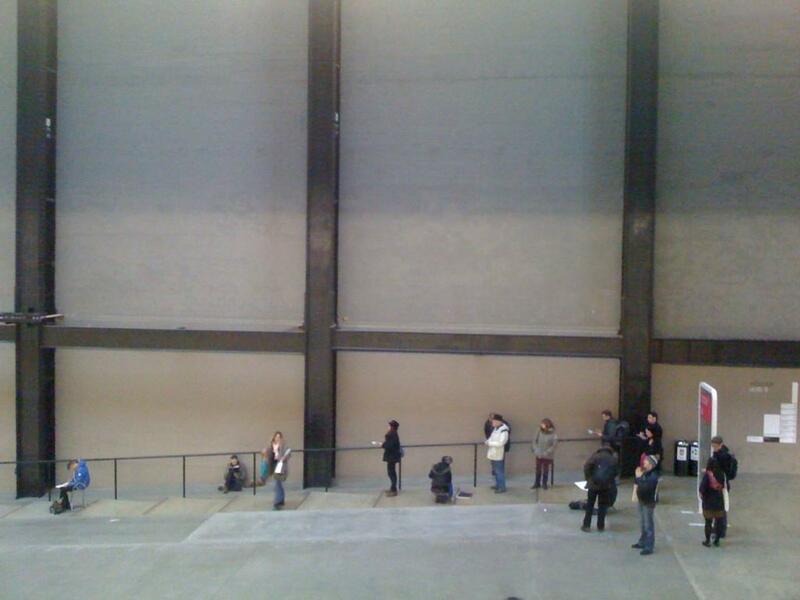 Tate Modern was a great place to be, although a hardy few headed outside to draw - let's hope they've all been accounted for. 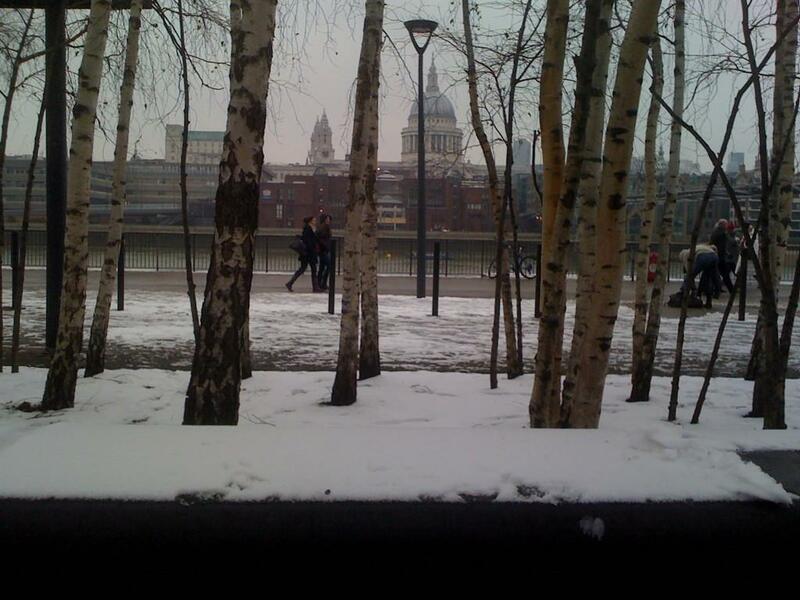 Here's a few pics from today's Sketchcrawl in the Snow at a sub-zero Bankside... which continues until 5pm today. Sub-zero outside Tate Modern for London sketchcrawl. Most of hardly outdoor sketchers have headed back in to warmth. 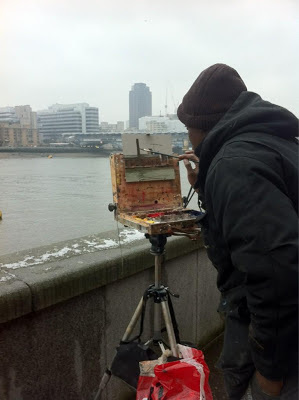 ...plus intrepid plein air sketching by Adebanji Alade! 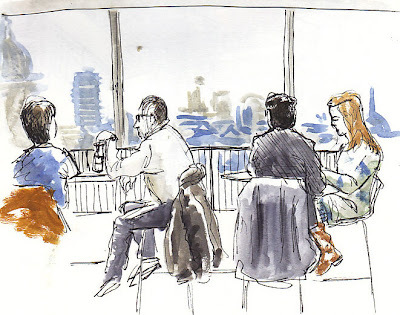 in London Sketchcrawl around Tate Modern.